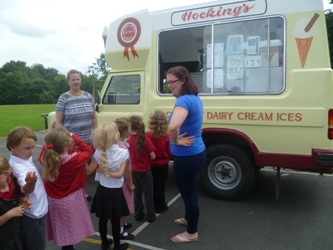 On the last day of term Friends of Bradford School arranged for thechildren to have a visit from the Hockings Ice Cream Van. 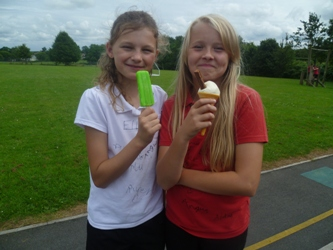 The van parked in the school playground andeach child and member of staff had either an Ice Cream or Lolly. Parents and siblings then joined the childrenbefore the end of school to buy an ice cream for themselves. Thanks goes to FOBs for arranging this treatfor the children it was a lovely end to the school year.